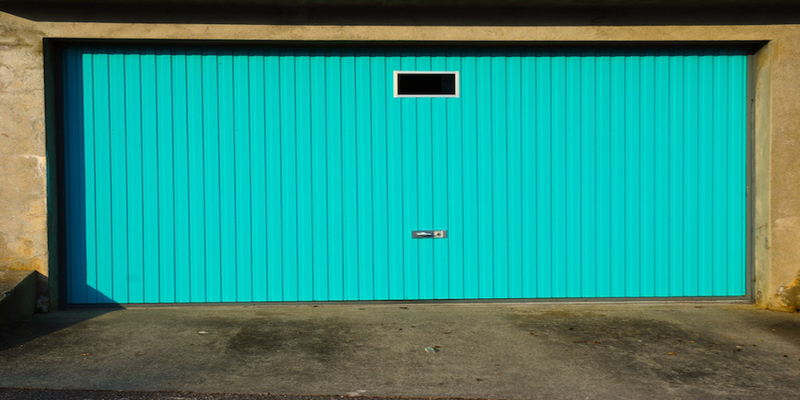 MPM: What made you decide to go into the garage door business? CHATWIN: Twenty-two years ago I was taking several educational courses at a trade school when a friend first enlightened me. My friend told me that there was a chance that I could pick up a part time job, which I desperately needed! Instantly, I found out that I liked being around people when I worked. It was also a pleasure to help them with a problem, especially, when it pertained to the Garage Door Industry and this all happened back in 1979. Soon, it’ll be more than 25 years ago. Wow, that seems like a long time back! MPM: Now that we know that you own this business, why not tell me about your future plans? CHATWIN: Now. that’s a hard question. I don’t know if I actually have an answer for that question! But, I’ll try. First of all, I must say that things have changed a whole lot since I first decided to enter the “OVERHEAD DOORS INDUSTRY.” After spending 25 years in this business and also after owning my own business for 22 of those hard fought years, life hasn’t become any easier. When I first started in this business my telephone area code number was 714. Of course the Area Code changed to 909. Now, Area Code has recently changed to 951. Every time they change the Area Code I lose a few annual customers. Thank God, a lot of my loyal clients have hunted me down like they were detective or I’d have really missed out on a lot of business. MPM: Do you specialize in any one thing or are you prepared to do everything? CHATWIN: There are a lot of Garage Door Companies, but what makes me stand out from the other garage door companies is the fact that I stand behind my work, COMPLETELY. I sell garage doors, however, the majority of my business is repairing some other garage door company’s poor work. I also replace parts that have worn out. I constantly warn people to follow their warranty agreements. Some listen to me and take action, while others ignore my advice and then I’m stuck listening to them complain about equipment and charges in today’s modern world. PREVENTIVE MAINTENANCE is the name of the game! MPM: Since you’ve already mentioned that you work long hours and sometimes work seven days a week, then what do you do when you’re not working? Do you have a hobby or something? That’s when I notice a certain spark in Mr. Chatwin’s eyes. He’s a serious type of no nonsense man with a great personality. Therefore, I knew that now is the time that this writer must push and delve at the right moment in order to show a realistic picture of Today’s Honest Entrepreneur. Chatwin is genuine and he’s also a family man. CHATWIN: I’ll just have to be completely honest with you. There just isn’t enough time for many hobbies. I have a son, “Steve” who’s married and has three children! I have a daughter, Valerie, living in Bullhead City who’s married and has three children and then there’s my youngest daughter, “Julie,” who has just turned 16 years old and is attending a local high school. So, when I have a little extra time I usually try to spend a little of it with them and my wife Cathy also has the same problem, she works too. P-R-O-B-A-B-L-Y. the only hobby I have is “Collecting Cars.” I’m talking about Classic American Vehicles. I’ve managed to collect a few along the way and I get to tinker with them every now and then. It’s fun! I’m a proud veteran who has been fortunate enough to attend school on the “G.I. Bill after I was called to do my duty in the United States Marines. Since then, I’ve thanked my lucky stars each and every day that I live in a country that has free enterprise. This is how or where I find the strength to do my job daily. Let’s face it folks, these are hectic times when money is very tight. We all must stick together. We’re Americans! MPM: It’s people like Chuck Chatwin who show all of us that we are living the “American Dream” every day of our life! All one has to do is read the local newspaper, watch the news on television or have a few daily conversations with neighbor and friends, like I do! America’s Freedom allows. readers of Main Performance USA Magazine to enjoy reading this publication. We are all blessed. I sincerely hope that everyone has had a Wonderful Holiday.